The List Page is ideal for a list of things that have a thumbnail, title & link, and a brief description. 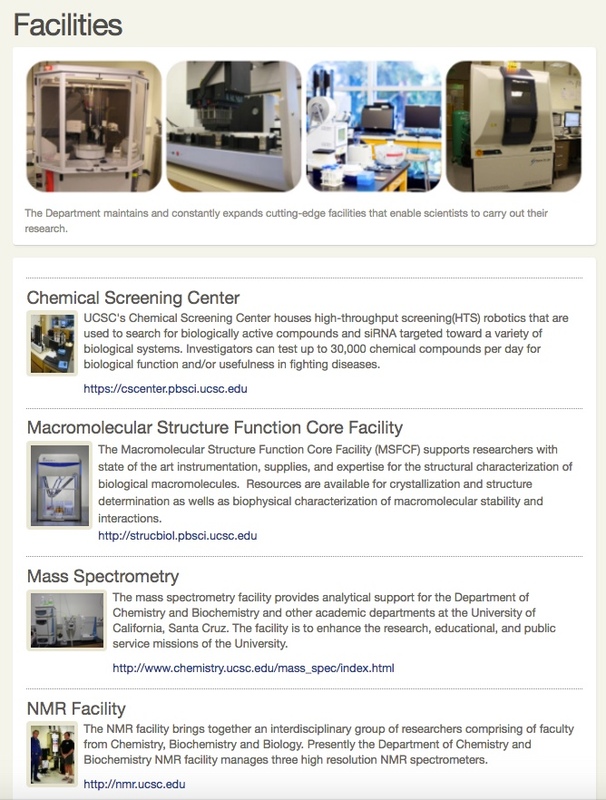 Examples include academic programs/departments, research units, staff lists, or list of publications. A summary paragraph that can contain images, links, etc. 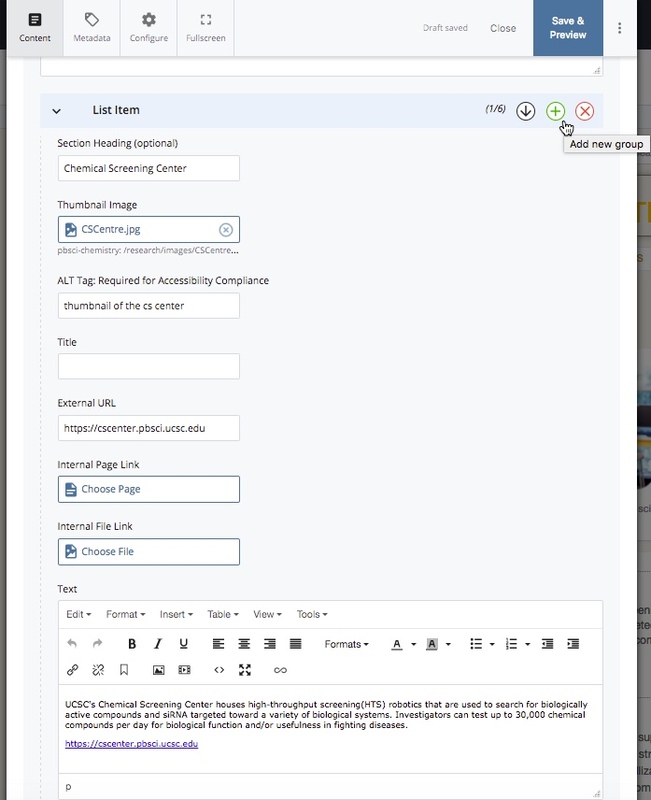 In addition to the standard fields for most pages (Title, Display Name, Banner Image, Text), the List Page also includes a section for creating each "List Item". Use the "+" button to add additional list items. Use the "x" to remove a list item and the up and down arrows to reorder the list items. Only use the "Section Heading" if you need to organize your list items in groups with a heading or if you'd like the horizontal line to appear above each item. Thumbnail images should be all the same size but this is not required. Always enter Alt Text (image description) for every image on your page. The title field is optional. The title will become a link if you enter an "External URL" or an "Internal Page Link" or "Internal File Link". The Text area shows up below the title. NOTE: When inserting images on your page or filling out a page form, you'll be prompted to add an "alt text" for accessibility. This text does not appear anywhere on your page. It is used for screen readers, used by the visually impaired. Text entered here should be a short, descriptive sentence describing the contents of the image.